Effective Date: This Agreement was last revised on April 19, 2016. PLEASE READ THE TERMS OF THIS AGREEMENT CAREFULLY. THIS AGREEMENT SETS FORTH THE LEGALLY BINDING TERMS AND CONDITIONS FOR YOUR USE OF THE GLOBALISMEDIA.COM WEBSITE AND SERVICES AND INCLUDES GRANTS OF RIGHTS TO US, LIMITATIONS ON OUR LIABILITY AND, FOR CERTAIN USERS, AN AGREEMENT TO ARBITRATE DISPUTES. YOU SHOULD PRINT A COPY OF THESE TERMS OR SAVE THEM IN DIGITAL FORM FOR YOUR REFERENCE. Globalis Media Inc. (“Globalis”, “we“, “our” or “us“) operates the GlobalisMedia.com website. The services offered by GlobalisMedia.com include (i) those offered on any GlobalisMedia.com -branded URL, including www.GlobalisMedia.com (the “GlobalisMedia.com Website”), and all services offered through the GlobalisMedia.com website, email, instant messaging, mobile services, and any other features, content, or applications offered or operated from time to time by GlobalisMedia.com in connection with GlobalisMedia.com’s business, including when GlobalisMedia.com is accessed via the internet, mobile device, television or other device (collectively, “GlobalisMedia.com Services”). The GlobalisMedia.com Services are currently hosted in the United States. As part of your use of the GlobalisMedia.com Services, you consent to the transfer of your personal data to the United States. If you do not agree to this international transfer of data, then you must refrain from using the GlobalisMedia.com Services. The GlobalisMedia.com Services are operated by Globalis Media Inc., a company with a mailing address at Keppel Center #1002B, Cebu Business Park, Cebu City 6000, Philippines. Your continued use of the GlobalisMedia.com Services constitutes your agreement to be bound by and your acceptance of the terms and conditions posted at such time, and will be a new agreement between us applicable to such new use or transaction. It is therefore important that you review this Agreement (and any applicable Additional Terms) regularly. If you do not agree to be bound by this Agreement (or any applicable Other Terms or Additional Terms) and to abide by all Applicable Law (defined below), you are not authorized to use the applicable GlobalisMedia.com Services and should discontinue use. You agree that: (1) we may give you notices of new, revised or changed terms and other important matters by prominently posting notice on the GlobalisMedia.com Website, or in another reasonable manner; and (2) we may contact you by mail or e-mail sent to the address provided by you. You agree to promptly notify us if you change your e-mail or mailing address by updating your Profile Settings. If you would like to contact us for any further information or to make a complaint, please contact us via the online form on the Contact page. Each time you use the GlobalisMedia.com Services, the posted version of this Agreement (or Other Agreement) and any Additional Terms (defined below) apply to such use so you should check for any updates each time you use the Services. You may only use the GlobalisMedia.com Content on the GlobalisMedia.com Services in connection with your permitted activities on the GlobalisMedia.com Services – and not in an offline environment or in connection with another website. GlobalisMedia.com is providing the GlobalisMedia.com Services to you on an “as-is” basis, without any warranty of any kind, and GlobalisMedia.com ’s liability to you in connection with your use of the GlobalisMedia.com Services is very limited. There are many other limitations and disclaimers relating to your use of the GlobalisMedia.com Services. Depending upon where you access the GlobalisMedia.com Services, many types of disputes that may arise in connection with your access to and use of the GlobalisMedia.com Services are subject to mandatory arbitration, which includes your waiver of a right to a jury trial, and a class action waiver. It is important that you read and understand the entire Agreement before using the GlobalisMedia.com Services. However, this table of contents, and the summaries that follow each heading, further highlights key issues and points. Eligibility – Use of the GlobalisMedia.com Services is subject to eligibility requirements. If you have not reached age of majority (18 in most countries) your parent or guardian must consent to your use. Term, Terms and Termination – The term of this Agreement (or if applicable Other Agreement and/or Additional Terms), in the form posted at the time of use, shall govern your use of the GlobalisMedia.com Services. Either you or we may terminate your Membership. Fees, Offers and Refunds – We may charge fees for use of the GlobalisMedia.com Services, which may change from time to time, and which may be subject to Additional Terms. Terms of offers may change and we may refuse or cancel orders. You may have refund rights in some cases. Password – You are responsible for your password and account usage. Use by Members – GlobalisMedia.com Services may only be used as authorized, and commercial use is restricted. Proprietary Rights in Content on GlobalisMedia.com – You grant us broad rights to use and exploit Content you post or make available via the GlobalisMedia.com Services, your profile and activity information, and your name, persona and likeness, as more fully explained below. You will not be entitled to compensation or attribution even if we or others profit from such use. However, you remain the owner and fully responsible for your Content and for ensuring that its use in connection with the GlobalisMedia.com Services do not violate any third party rights or any law. Your right to use GlobalisMedia.com Content, User Content and Third Party Content is very limited and revocable. Content Posted – You are responsible for Content you post, and we are not responsible for Content other users post. You can report inappropriate Content you identify on the GlobalisMedia.com Services to us. Some of your activities on the GlobalisMedia.com Services, may be viewable or shared with other Users and may be associated with advertising, including your content consumption (e.g., watching a video) and when you interact with brands and ads. Content/Activity Prohibited – Your use of the GlobalisMedia.com Services, including Content you post, is subject to rules designed to prohibit inappropriate Content and user activities. Please review and follow these rules. Profiles and Profile Settings – Members have profiles, which are subject to certain rules. From time to time we may offer certain functionality to allow you to express privacy, communication and other preferences, which we will make a good faith effort to honor. Protecting Copyrights and Other Intellectual Property – You may not use the GlobalisMedia.com Services in a manner that violates other’s intellectual property rights. If you are an intellectual property owner that believes its rights are being infringed by a use of the GlobalisMedia.com Services, you may contact us, including details of any alleged copyright infringement. Linking – You may link to us subject to certain rules. We may provide links to third party sites and services, but we are not responsible for third party sites or services or their content. Member Disputes – We are not responsible for your disputes with other members, but we may elect to become involved. Disclaimers – You use the GlobalisMedia.com Services on an “As Is” basis and we disclaim any warranties, express or implied, as permitted by law. Limitation on Liability – Our potential liability to you is highly limited. Arbitration and No Class Action Rights – To the maximum extent permitted by the mandatory laws in your place of residence, you agree to arbitrate most disputes, waive jury trial and class action rights and limit the time in which your claims must be brought. Other Dispute Resolution where Arbitration is Not Applicable – If and to the extent that arbitration is not a permitted form of dispute resolution pursuant to the mandatory laws of your place of residence, then you agree that the provisions of Section 18 shall apply to the resolution of any disputes or claims. Indemnity and Waiver of Injunctive Relief – You must indemnify us for many types of claims and losses arising out of your use of the GlobalisMedia.com Services. You waive the right to seek injunctive or equitable relief, but acknowledge that we may seek that type of relief. Wireless – Wireless carrier charges may apply and location based services you enable are at your own risk. You can uninstall our applications to terminate service. Operation of GlobalisMedia.com Services; Availability of Products and Services; International Issues – GlobalisMedia.com Services are intended for users in countries and locations in which the Services are allowed by law. You may not use the Services if you are located in any country or location in which the Services are now allowed by the laws of that location or country. Software End User License Agreement – When you use our Software, you agree to certain terms and conditions. Other – You agree to various other terms and conditions. Eligibility – Use of the GlobalisMedia.com Services and registration to be a Member for the GlobalisMedia.com Services (“Membership”) is void where prohibited and subject to compliance with Applicable Law, this Agreement and any applicable Additional Terms. By using the GlobalisMedia.com Services, you represent and warrant that: a) all registration information you submit is truthful and accurate; (b) you will maintain the accuracy of such information; (c) you are 13 years of age or older, and if you are not of the age of majority where you reside, you will only use the GlobalisMedia.com Services with parental or legal guardian consent (following their review of this Agreement); and (d) your use of the GlobalisMedia.com Services does not violate any Applicable Law. You may not create an Account for anyone other than yourself without the other person’s permission. Your Account will be deleted and your Membership may be terminated without warning, if we believe that you have misrepresented your age or identity to us in a manner that violates this Agreement or is unlawful. Registered s** offenders and those convicted of violent crimes are not eligible for Membership. Term, Terms and Termination – This Agreement (or if applicable, Other Agreement and/or Additional Terms), in the form posted at the time of your use of the applicable GlobalisMedia.com Services to which it applies, shall govern such use of such GlobalisMedia.com Services (including transactions entered during such use). As our site and services evolve, the terms and conditions under which we offer GlobalisMedia.com Services may prospectively be modified and we may cease offering the GlobalisMedia.com Services under the Agreement or Additional Terms for which they were previously offered. Accordingly, each time you sign in to or otherwise use the GlobalisMedia.com Services you are entering into a new agreement with us on the then applicable terms and conditions and you agree that we may notify you of Other Terms by posting them on the applicable GlobalisMedia.com Services (or in any other reasonable manner of notice which we elect), and that your use of such GlobalisMedia.com Services after such notice constitutes your going forward agreement to the Other Terms for your new use and transactions. Therefore, you should review the posted Agreement and any applicable Additional Terms each time you use the GlobalisMedia.com Services (at least prior to each transaction or submission). The Other Terms will be effective as to new use and transactions as of the time that we post them, or such later date as may be specified in them or in other notice to you. However, the Agreement (and any applicable Additional Terms) that applied when you previously used the GlobalisMedia.com Services will continue to apply to such prior use (i.e., changes and additions are prospective only) unless mutually agreed. In the event any notice to you of new, revised or additional terms is determined by a tribunal to be insufficient, the prior agreement shall continue until sufficient notice to establish a new agreement occurs. You should frequently check the GlobalisMedia.com Website, any Messages sent from GlobalisMedia.com to you on the GlobalisMedia.com Services, and the e-mail you associated with your Account for notices, all of which you agree are reasonable manners of providing you notice. You can reject any new, revised or additional terms by discontinuing use of the GlobalisMedia.com Services.GlobalisMedia.com may terminate your Membership at any time, for any or no reason, with or without prior notice or explanation, and without liability, except that you may have certain refund rights as provided in the next section. Further, we may deny, restrict, suspend, or terminate your access to all or any part of the GlobalisMedia.com Services at any time, for any or no reason, with or without prior notice or explanation, and to the maximum extent permitted by applicable law, without liability, except that you may have certain refund rights as provided in the next section. In addition, GlobalisMedia.com reserves the right, in its sole discretion, to reassign or rename your username and/or Profile URL and to allow indexing of such URL by third party search engines. GlobalisMedia.com expressly reserves the right to remove your Profile or Content, in whole or in part, and/or deny, restrict, suspend, or terminate your access to all or any part of the GlobalisMedia.com Services, if GlobalisMedia.com determines, in its sole discretion, that you have violated this Agreement, are acting in a manner we deem inappropriate for the GlobalisMedia.com Services, or pose a threat to GlobalisMedia.com , its employees, business partners, Users and/or the public. Even after Membership is terminated, or you cease using the GlobalisMedia.com Services, some terms of your Agreement with GlobalisMedia.com will remain in effect. Fees, Offers and Refunds – You acknowledge that GlobalisMedia.com reserves the right to charge for any portion of the GlobalisMedia.com Services and to change its fees (if any) from time to time in its discretion on a prospective basis. Orders are accepted by us only upon delivery by us of the product or services. We may change terms and conditions of offers from time to time and may refuse or cancel orders; provided, however, that if we have charged you prior to rejecting an order we will issue a refund. We try to accurately describe our products and services, and their pricing, but typos and other errors may occur so we do not warrant that specifications, pricing or other GlobalisMedia.com Content or GlobalisMedia.com Services will be complete, error-free, current, reliable or accurate. We will make good faith efforts to post corrections when such mistakes of a material nature are discovered and we will provide you with suitable means to allow you to correct any input errors you make before you make a payment for the GlobalisMedia.com Services. If GlobalisMedia.com terminates your Membership because you have breached the Agreement, you shall not be entitled to the refund of any unused portion of fees or payments (if any). If you terminate your Membership, you shall not be entitled to the refund of any unused portion of fees or payments (if any). 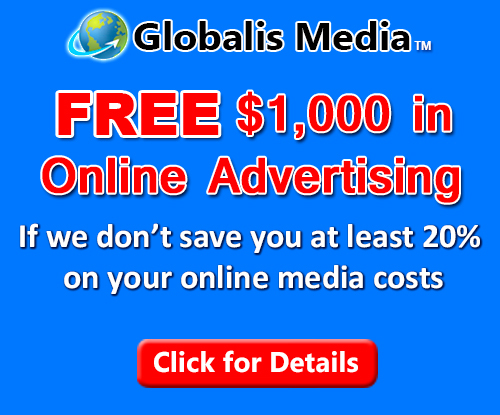 If GlobalisMedia.com terminates your Membership, or any ongoing GlobalisMedia.com Services for which you have paid, other than for your breach of the Agreement (or of applicable Additional Terms), then as your sole remedy, GlobalisMedia.com shall provide a pro-rata refund of any fees or payments (if any) for GlobalisMedia.com Services that you paid for but that were not yet delivered. GlobalisMedia.com may require that you agree to certain Additional Terms for some GlobalisMedia.com Services, such as related to fee-based portions of the GlobalisMedia.com Services (e.g., fees to access certain content from your mobile, tablet or internet connected television or other Device). We may offer customer support services from time to time, but are not obligated to do so. Customer support representatives do not have the authority to bind us or to change or waive our rights under this Agreement or any Additional Terms. For Members in the European Union, you acknowledge that you have no right to any cooling-off period under the Distance Selling Directive (Directive 97/7/EC) on the basis that we will provide you the GlobalisMedia.com Services before or immediately after we receive your payment for such services. Password – When you sign up to become a Member, you will also be asked to choose a password. You are entirely responsible for maintaining the confidentiality of your password. You agree not to use the Account, username, email address or password of another Member at any time or to disclose your password to any third party. You agree to notify GlobalisMedia.com immediately if you suspect any unauthorized use of your Account or access to your password. You are solely responsible for any and all use of your Account. Use by Members – The GlobalisMedia.com Services are for the personal use of Members and Users and may only be used for direct commercial purposes if they are specifically endorsed or authorized by GlobalisMedia.com . GlobalisMedia.com reserves the right to remove commercial content in its sole discretion. Without limiting the generality of the commercial use restrictions, the unauthorized collection of usernames, user id numbers or similar designation, and/or email addresses of Members by electronic or other means, or employing third party promotional sites or software to promote Profiles for money, is prohibited. Commercial advertisements, endorsements, affiliate links, and other forms of unauthorized data collection or solicitation may be removed from Profiles without notice or explanation and may result in termination of Membership privileges.To maintain the GlobalisMedia.com Services in a manner we deem appropriate for our venue and to the maximum extent permitted by applicable law, GlobalisMedia.com may, but will not have any obligation to, review, monitor, display, reject, refuse to post, store, maintain, accept or remove any Content (as further defined below) posted (including, without limitation, private GlobalisMedia.com messages, public comments, public group chat messages, private group chat messages or private instant messages (collectively, “Messages”)) by you, and GlobalisMedia.com may, in its sole discretion, delete, move, re-format, remove or refuse to post or otherwise make use of Content without notice or any liability to you or any third party in connection with our operation of Content venues in an appropriate manner. Without limitation, we may do so to address Content that comes to our attention that we believe is offensive, obscene, lewd, lascivious, filthy, violent, harassing, threatening, abusive, illegal or otherwise objectionable or inappropriate, or to enforce the rights of third parties or the Agreement or any applicable Additional Terms, including, without limitation, the Content restrictions set forth below in Section 8. GlobalisMedia.com does not claim any ownership rights in the text, Messages, files, images, photos, video, sounds, musical works, sound recordings, works of authorship, applications, or any other materials (collectively, “Content”) that you transmit, submit, display or publish (“post”) on, through or in connection with the GlobalisMedia.com Services. After posting your Content on, through or in connection with the GlobalisMedia.com Services, you continue to retain any such rights that you may have in your Content, subject to the limited license granted herein. By posting any Content on, through or in connection with the GlobalisMedia.com Services, you hereby grant to GlobalisMedia.com a limited license to use, modify, delete from, add to, combine with other content, publicly perform, publicly display, reproduce, transmit, sell, distribute, and otherwise exploit such Content by all means and manners now or later known, including, without limitation, on, through or in connection with the GlobalisMedia.com Services to third party applications; widgets; websites; or mobile, desktop or other services which are linked with your Account at your election (collectively, “Linked Services”), including, without limitation, distributing part or all of the GlobalisMedia.com Services and any Content included therein, in any media formats and through any media channels. Content submitted by Users and authorized by the User to be distributed on Linked Services need not be maintained on the GlobalisMedia.com Services by us for any period of time, and Users will not have the right, once submitted, to access, archive, maintain or otherwise use such Content on the GlobalisMedia.com Services or elsewhere. The license you grant is perpetual; provided, however, that after you remove your Content from the GlobalisMedia.com Services, we will make commercially reasonable efforts to remove such specific deleted Content from further distribution on the GlobalisMedia.com Services, as soon as practicable but, please be aware that any distribution of your Content that may have occurred by you or other Users via Linked Services, or otherwise (e.g., posted on third party User’s Profiles, sent by you to other Users, contributed to a mashup of Content from multiple Users, etc.) may continue to be displayed, distributed and used. Further, deleted Content may persist in archival copies on GlobalisMedia.com servers for a reasonable period of time. You understand and agree that once Content is distributed to a Linked Service, or incorporated into other aspects of the GlobalisMedia.com Services (e.g., as part of a derivative work), GlobalisMedia.com is under no obligation to delete or ask other Users or a Linked Service to delete that Content; therefore, it may continue to appear and be used indefinitely. The license you grant to GlobalisMedia.com is non-exclusive (meaning you are free to license your Content to anyone else in addition to GlobalisMedia.com ), fully-paid and royalty-free (meaning that GlobalisMedia.com is not required to pay you or anyone else deriving rights from you for the use by GlobalisMedia.com of the Content that you post), sub-licensable (so that GlobalisMedia.com is able to use its affiliates, subcontractors and other partners such as Internet content delivery networks and wireless carriers to provide the GlobalisMedia.com Services and, subject to good faith efforts to honor your Profile Settings, to third party search engines), and worldwide (because the Internet and the GlobalisMedia.com Services are global in reach). You also hereby grant to GlobalisMedia.com , and agree to grant to GlobalisMedia.com , the unconditional, perpetual, irrevocable, sub-licensable, fully-paid and royalty free right to use, share and exploit your name, persona, and likeness, and your Profile information and information about your activities on the GlobalisMedia.com Services (including, without limitation, your activities in connection with our sponsors and advertisers), without any obligation or remuneration to you. However, from time to time we may offer you choices regarding how information about you is shared and we will make good faith efforts to honor your elections. For more information, see Profile Settings. Except as prohibited by law, you hereby waive, and you agree to waive, any moral rights (including attribution and integrity) that you may have in any Content. To the extent not waivable, you irrevocably agree not to exercise such rights (if any) in a manner that interferes with any exercise of the rights granted hereunder. You understand that you will not receive any fees, sums, consideration, or remuneration for any of the rights granted in this Section 6. If you are a minor, you represent and warrant that your parent or legal guardian has consented to you granting the rights as set forth in this Section 6, or that are provided in any Additional Terms. Each time you submit any Content, you represent and warrant that you are at least the age of majority in the jurisdiction in which you reside or are the parent or legal guardian, or have all proper consents from the parent or legal guardian, of any minor (including yourself) who is depicted in or contributed to any Content you submit, and that, as to that Content: (i) you are the sole author and/or owner of the Content posted by you on, through or in connection with the GlobalisMedia.com Services, or otherwise have the lawful right to grant the license set forth in this Section 6 or that is provided in any Additional Terms, all without any GlobalisMedia.com obligation to obtain consent of any third party and without creating any obligation or liability of GlobalisMedia.com , (ii) the Content is accurate (other than as authorized in Section 8 or any Additional Terms); (iii) the posting of your Content on, through or in connection with the GlobalisMedia.com Services and/or Linked Services does not violate the privacy rights, publicity rights, intellectual property rights, contract rights or any other rights of any person or entity; and (iv) the Content will not violate this Agreement (including the prohibitions in Section 8 or any Additional Terms, or cause injury or harm to any person. You agree to pay all royalties, fees, and any other monies owing any person or entity by reason of the use of any Content posted by you on or through the GlobalisMedia.com Services and/or Linked Services. In your communications with GlobalisMedia.com , please keep in mind that we do not seek any unsolicited ideas or materials for products or services, or even GlobalisMedia.com improvements to products or services, such as ideas, concepts, inventions, or designs for musical productions or equipment, books, scripts, screenplays, motion pictures, television shows, theatrical productions, or webisodes (collectively, “Unsolicited Ideas and Materials”). Any Unsolicited Ideas and Materials you post on or send to us (via the GlobalisMedia.com Services or otherwise) are deemed User Content and licensed to us as set forth in this Section 6. In addition, GlobalisMedia.com retains all of the rights held by members of the general public with regard to your Unsolicited Ideas and Materials. GlobalisMedia.com ’s receipt of your Unsolicited Ideas and Materials is not an admission by GlobalisMedia.com of their novelty, priority, or originality, and it does not impair GlobalisMedia.com ’s right to contest existing or future intellectual property rights relating to your Unsolicited Ideas and Materials. The GlobalisMedia.com Services contain Content owned by GlobalisMedia.com (“GlobalisMedia.com Content”). GlobalisMedia.com Content is protected by copyright, trademark, patent, trade secret and other laws, and GlobalisMedia.com owns and retains all rights in the GlobalisMedia.com Content and the GlobalisMedia.com Services. GlobalisMedia.com hereby grants you a limited, revocable, nonsublicensable license to reproduce and display the GlobalisMedia.com Content (excluding any software code) solely for your personal use (and for the promotional uses permitted to artists hereunder) in connection with viewing the GlobalisMedia.com Website and using the GlobalisMedia.com Services, and in connection with standard search engine activity or use of a standard Internet browser (e.g., for making cache copies). From time to time, GlobalisMedia.com may make available to Users certain explicitly designated GlobalisMedia.com Content for Users use as part of User Content (defined below) (“GlobalisMedia.com Licensed Elements”), but only for such purposes as may be explicitly stated at the time that the GlobalisMedia.com Licensed Elements are made available on the GlobalisMedia.com Services; but we and our licensors and certain other third parties, as the case may be, retain ownership of such GlobalisMedia.com Licensed Elements. The foregoing limited license: (i) does not give you any ownership of, or any other intellectual property interest in, any GlobalisMedia.com Content, and (ii) may be immediately suspended or terminated for any reason, in GlobalisMedia.com ’s sole discretion, and without advance notice or liability. In some instances, we may permit you to have greater access to and use of GlobalisMedia.com Content and/or GlobalisMedia.com Licensed Elements, subject to certain Additional Terms. You are only granted a limited license, and, as between you and GlobalisMedia.com , there is not a sale with respect to GlobalisMedia.com Content. The GlobalisMedia.com Services contain Content of Users (“User Content”). Except as otherwise provided within this Agreement, or in any Additional Terms, you may not copy, download, communicate, make available, modify, translate, publish, broadcast, transmit, distribute, perform, display, sell or otherwise use any User Content appearing on or through the GlobalisMedia.com Services. The GlobalisMedia.com Services contain Content of third party licensors that are not Users (such licensors, “Third Party Licensors” and such content “Third Party Content”). Third Party Content is protected by copyright, trademark, patent, trade secret and other laws, and each Third Party Licensor retains rights in its Third Party Content. Subject to any applicable Additional Terms, you are hereby granted a limited, revocable, non-sublicensable license to view, or listen to, as applicable, the Third Party Content solely for your personal, non-commercial use in connection with viewing and using the GlobalisMedia.com Services and in connection with standard search engine activity or use of a standard Internet browser (e.g., for making cache copies). Except for the foregoing limited license, and except as otherwise expressly provided in writing by GlobalisMedia.com , you are granted no right, title or interest in any Third Party Content. You are only granted a limited license, and, as between you and GlobalisMedia.com , there is not a sale with respect to Third Party Content. Except as otherwise provided within this Agreement or applicable Additional Terms, or directly authorized by GlobalisMedia.com and/or a Third Party Licensor on the GlobalisMedia.com Services (e.g., as part of a promotion that encourages you to download specific Third Party Content for your use in connection with such promotion), you may not copy, download, communicate, make available, modify, translate, publish, broadcast, transmit, distribute, perform, display, sell or otherwise use any Third Party Content (except as may be a result of standard search engine activity or use of a standard Internet browser). GlobalisMedia.com reserves the right to limit the storage capacity of Content that you post on, through or in connection with the GlobalisMedia.com Services. This Agreement and any Additional Terms include only narrow, limited grants of rights to GlobalisMedia.com Content and to use and access the GlobalisMedia.com Services. No right or license may be construed, under any legal theory, by implication, estoppel, industry custom, or otherwise. All rights not expressly granted to you are reserved by GlobalisMedia.com and its licensors and other third parties. Any goodwill that is created in connection with your use of GlobalisMedia.com Content or the GlobalisMedia.com Services inures to GlobalisMedia.com . Any unauthorized use of any GlobalisMedia.com Content or the GlobalisMedia.com Services for any purpose is prohibited. Content Posted – Please choose carefully the information that you post on, through or in connection with the GlobalisMedia.com Services and that you provide to other Users. Your Profile may not include any form of Prohibited Content, as outlined inSection 8 below. Despite this prohibition, information, materials, products or services provided by other GlobalisMedia.com Members (for instance, in their Profiles) or Linked Services may, in whole or in part, be unauthorized, impermissible or otherwise violate this Agreement, and GlobalisMedia.com assumes no responsibility or liability for this material. If you become aware of misuse of the GlobalisMedia.com Services by any person or Linked Service, please visit our Help Site or, if available, click on the Profile, image, video, comment or other item to report the Content directly to our support team. GlobalisMedia.com may reject, refuse to post or delete any Content that, in the sole judgment of GlobalisMedia.com , violates this Agreement, is inappropriate for the GlobalisMedia.com Services or which may be offensive, illegal or violates the rights of any person or entity, or harms or threatens the safety of any person or entity. However, we are not obligated to take any action not required by law. GlobalisMedia.com , may, but assumes no responsibility or obligation for reviewing or monitoring the GlobalisMedia.com Services for inappropriate Content or conduct. If at any time GlobalisMedia.com chooses, in its sole discretion, to review or monitor the GlobalisMedia.com Services, GlobalisMedia.com nonetheless assumes no responsibility for the Content, no obligation to modify or remove any inappropriate Content, and no responsibility for the conduct of the User submitting any such Content. You are solely responsible for the Content that you post on, through or in connection with any of the GlobalisMedia.com Services and/or Linked Services, and any material or information that you transmit to other Members and for your interactions with other Users. Any breach by you of this Section 7 will be subject to the indemnification obligations set forth in Section 18 below. We reserve the right to request at any time proof of the permissions referred to above in a form acceptable to us. Failure to provide such proof may lead to, among other things, the Content in question being removed from the GlobalisMedia.com Services. We limit use of the GlobalisMedia.com Services to Content and activities that are appropriate, in our discretion, to our venue. The following are examples, without limitation, of the kind of Content or activities that are illegal, or prohibited to post on, through or in connection with the GlobalisMedia.com Services (“Prohibited Content”). GlobalisMedia.com reserves the right to investigate and take appropriate action (which may include taking legal action) against anyone who, in GlobalisMedia.com ’s sole discretion, violates this provision, including, without limitation, removing the offending Content from the GlobalisMedia.com Services, terminating the Membership of such violators and/or reporting such Content or activities to law enforcement authorities. displaying an unauthorized commercial advertisement on your Profile, or accepting payment or anything of value from a third person in exchange for your performing any commercial activity through the GlobalisMedia.com Services on behalf of that person, such as placing commercial content on your Profile; links to e-commerce sites not authorized by GlobalisMedia.com ; posting comments with a commercial purpose; selecting a Profile with a commercial purpose as one of your top connections; or sending Messages with a commercial purpose. using the GlobalisMedia.com Services in a manner inconsistent with this Agreement or Applicable Laws and Regulations. GlobalisMedia.com allows you to create a Profile associated with your Account. We may offer you the ability to choose how you share or make your Profile, or aspects of it, available to others by means of “Profile Settings”, which functionality may change as the GlobalisMedia.com Services evolve. GlobalisMedia.com currently makes all Profiles of Members public by default. You may adjust the public or private status of your Profile in your Profile Settings. We will make good faith efforts to honor Profile Settings, but are not responsible for errors and reserve the right to change the way Settings and preferences work from time to time, so visit your Profile Settings regularly to ensure that the reflect your preferences and to see how we may have added or changed how you can exercise choice. You may not use any Profile for purpose of impersonation, deception or confusion. Suspension or Termination. GlobalisMedia.com may suspend or terminate Profiles, and/or the Membership of Accounts associated with them, in the event they do not comply with this Agreement, or for any other or no reason.  Protecting Copyrights and Other Intellectual Property – GlobalisMedia.com respects the intellectual property of others, and requires that our Users and Members do the same. You may not upload, embed, post, email, transmit or otherwise make available any Content that infringes any copyright, patent, trademark, trade secret, privacy, publicity or other proprietary rights of any person or entity. It is GlobalisMedia.com ’s policy to terminate, in appropriate circumstances, the Membership of repeat or substantial infringers. If you believe your work has been copied and posted on or through the GlobalisMedia.com Services in a way that constitutes copyright and/or trademark infringement, please notify GlobalisMedia.com of your complaint, including all relevant details, file names and URL’s, screen shots, etc. Linked Services – Linked Services created by third party developers may be available on, through or in connection with the GlobalisMedia.com Services. Linked Services include applications, games, websites, desktop, wireless, mobile and other services available from third parties which can be installed on your device(s), or on the GlobalisMedia.com Services, shared with other Users on the GlobalisMedia.com Services, otherwise accessed via the GlobalisMedia.com Services, or which may link to your Profile from outside of the GlobalisMedia.com Services. Linked Services may use your Profile information, friends and/or other Profile Content on the Linked Service and share activity events between GlobalisMedia.com and the Linked Service (depending on the features the Linked Service chooses to make available). We may offer you certain ability to control what is initially shared with Linked Services through your Profile Settings, or permission options otherwise made available to you (e.g., when downloading, accessing or activating Linked Services), and we will use good faith efforts to honor those choices.  Hyperlinks – Hyperlinks to GlobalisMedia.com . We grant you a limited, non-exclusive, revocable, non-assignable, personal, and non-transferable license to create hyperlinks to the GlobalisMedia.com Services, so long as: (a) the links and the content on your website do not suggest any affiliation with GlobalisMedia.com or cause any other confusion, and (b) the links and the content on your website do not portray GlobalisMedia.com or its products or services in a false, misleading, derogatory, or otherwise offensive matter, and do not contain content that is unlawful, offensive, obscene, lewd, lascivious, filthy, violent, threatening, harassing, or abusive, or that violate any right of any third party or are otherwise objectionable to GlobalisMedia.com . GlobalisMedia.com reserves the right to suspend or prohibit linking to the GlobalisMedia.com Services for any reason, in its sole discretion, without advance notice or any liability of any kind to you or any third party.  Member Disputes – You are solely responsible for your interactions with other Users, third party developers and any other parties with whom you interact through the GlobalisMedia.com Services and/or Linked Services so use caution when dealing with others. GlobalisMedia.com reserves the right, but has no obligation, to become involved in any way with these disputes. GlobalisMedia.com performs technical functions it deems necessary or appropriate to offer the GlobalisMedia.com Services, including, but not limited to, the technical processing and transmission of Messages to perform the messaging service, and transcoding and/or reformatting Content to allow its use throughout the GlobalisMedia.com Services. In addition, you agree and acknowledge that GlobalisMedia.com may send Messages, whose content may include, but not be limited to, notifications, special offers, promotions, commercial advertisements, and marketing materials, in connection with the GlobalisMedia.com Services, and/or the services of GlobalisMedia.com ’s affiliates and/or third-party business partners. We offer you certain choices as to what type of commercial communications you receive from the GlobalisMedia.com Services, which you can exercise by visiting your Profile Settings for notifications (click here for more information), or by following the unsubscribe instructions contained at the bottom of commercial emails sent by GlobalisMedia.com , and we will make good faith efforts to honor those choices. However, regardless of your elections we reserve the right to contact you to address transactional and operational issues related to your Account, Membership or activities in connection with GlobalisMedia.com Services. When you communicate with us electronically, such as via e-mail and text message, you consent to receive communications from GlobalisMedia.com by the same method. Please note that we are not obligated to respond to inquiries that we receive. You agree that all agreements, notices, disclosures, and other communications that we provide to you electronically satisfy any legal requirement that such communications be in writing. GlobalisMedia.com may interact with law enforcement regarding your use of the GlobalisMedia.com Services. You acknowledge and agree that GlobalisMedia.com may make your information available to law enforcement. More information is available in our Law Enforcement Guidelines. TO THE MAXIMUM EXTENT PERMITTED BY APPLICABLE LAW, GLOBALISMEDIA.COM IS NOT RESPONSIBLE FOR AND MAKES NO REPRESENTATIONS OR WARRANTIES OR ENDORSEMENTS OF ANY KIND WHATSOEVER, EXPRESS OR IMPLIED, AS TO: (A) THE GLOBALISMEDIA.COM SERVICES; (B) THE GLOBALISMEDIA.COM CONTENT ON OR PROVIDED THROUGH THE GLOBALISMEDIA.COM SERVICES; (C) THE CONTENT OR USER CONTENT (INCLUDING THE ACCURACY AND RELIABILITY THEREOF); (D) THE THIRD PARTY CONTENT; (E) THE LINKED SERVICES; (F) THE FUNCTIONS MADE ACCESSIBLE ON OR THROUGH THE GLOBALISMEDIA.COM SERVICES; (G) ANY PRODUCTS, SERVICES OR INSTRUCTIONS OFFERED OR REFERENCED IN THE GLOBALISMEDIA.COM SERVICES; AND/OR (H) SECURITY ASSOCIATED WITH THE TRANSMISSION OF INFORMATION TRANSMITTED TO OR FROM GLOBALISMEDIA.COM OR OTHERS VIA THE GLOBALISMEDIA.COM SERVICES. IN ADDITION AND TO THE MAXIMUM EXTENT PERMITTED BY APPLICABLE LAW, GLOBALISMEDIA.COM IS NOT RESPONSIBLE FOR ANY DAMAGE, INJURY OR LOSS CAUSED BY USERS OF THE GLOBALISMEDIA.COM SERVICES OR BY ANY OF THE EQUIPMENT OR PROGRAMMING ASSOCIATED WITH OR UTILIZED IN THE GLOBALISMEDIA.COM SERVICES OR LINKED SERVICES. PROFILES AND LINKED SERVICES ON, THROUGH OR IN CONNECTION WITH THE GLOBALISMEDIA.COM SERVICES MAY CONTAIN LINKS TO OTHER WEBSITES OR SERVICES. GLOBALISMEDIA.COM IS NOT RESPONSIBLE FOR THE CONTENT, ACCURACY OR OPINIONS EXPRESSED ON SUCH WEBSITES AND SERVICES, AND SUCH WEBSITES AND SERVICES ARE NOT NECESSARILY INVESTIGATED, MONITORED OR CHECKED FOR ACCURACY OR COMPLETENESS BY GLOBALISMEDIA.COM . INCLUSION OF ANY LINKED WEBSITE OR SERVICE ON THE GLOBALISMEDIA.COM SERVICES DOES NOT IMPLY APPROVAL OR ENDORSEMENT OF THE LINKED WEBSITE OR SERVICE BY GLOBALISMEDIA.COM . WHEN YOU ACCESS THESE THIRD PARTY SITES AND SERVICES, YOU DO SO AT YOUR OWN RISK. GLOBALISMEDIA.COM TAKES NO RESPONSIBILITY FOR THIRD PARTY ADVERTISEMENTS OR LINKED SERVICES THAT ARE POSTED ON, THROUGH OR IN CONNECTION WITH THE GLOBALISMEDIA.COM SERVICES OR LINKED SERVICES, NOR DOES IT TAKE ANY RESPONSIBILITY FOR THE GOODS OR SERVICES PROVIDED BY THESE THIRD PARTIES. GLOBALISMEDIA.COM IS NOT RESPONSIBLE FOR THE CONDUCT, WHETHER ONLINE OR OFFLINE, OF ANY USER OF THE GLOBALISMEDIA.COM SERVICES OR LINKED SERVICES. GLOBALISMEDIA.COM ASSUMES NO RESPONSIBILITY FOR ANY ERROR, OMISSION, INTERRUPTION, DELETION, DEFECT, DELAY IN OPERATION OR TRANSMISSION, COMMUNICATIONS LINE FAILURE, THEFT OR DESTRUCTION OR UNAUTHORIZED ACCESS TO, OR ALTERATION OF, ANY USER OR MEMBER COMMUNICATION. GLOBALISMEDIA.COM IS NOT RESPONSIBLE FOR ANY PROBLEMS OR TECHNICAL MALFUNCTION OF ANY TELEPHONE NETWORK OR LINES, COMPUTER ONLINE SYSTEMS, SERVERS OR PROVIDERS, COMPUTER EQUIPMENT, SOFTWARE, FAILURE OF ANY EMAIL OR PLAYERS DUE TO TECHNICAL PROBLEMS OR TRAFFIC CONGESTION ON THE INTERNET OR ON ANY OF THE GLOBALISMEDIA.COM SERVICES OR LINKED SERVICES OR COMBINATION THEREOF, INCLUDING, WITHOUT LIMITATION, ANY INJURY OR DAMAGE TO USERS OR TO ANY PERSON’S COMPUTER RELATED TO OR RESULTING FROM PARTICIPATION OR DOWNLOADING MATERIALS IN CONNECTION WITH THE GLOBALISMEDIA.COM SERVICES OR LINKED SERVICES. UNDER NO CIRCUMSTANCES SHALL GLOBALISMEDIA.COM BE RESPONSIBLE FOR ANY LOSS OR DAMAGE, INCLUDING, WITHOUT LIMITATION, PERSONAL INJURY OR DEATH, RESULTING FROM USE OF THE GLOBALISMEDIA.COM SERVICES OR LINKED SERVICES, ATTENDANCE AT A GLOBALISMEDIA.COM EVENT, FROM ANY USER CONTENT POSTED ON OR THROUGH THE GLOBALISMEDIA.COM SERVICES OR LINKED SERVICES, OR FROM THE CONDUCT OF ANY USERS OF THE GLOBALISMEDIA.COM SERVICES, WHETHER ONLINE OR OFFLINE. THE GLOBALISMEDIA.COM SERVICES AND YOUR ABILITY TO ACCESS THE LINKED SERVICES ARE PROVIDED “AS-IS” AND “AS AVAILABLE” AND “WITH ALL FAULTS” BASIS AND GLOBALISMEDIA.COM EXPRESSLY DISCLAIMS ALL WARRANTIES, EXPRESS OR IMPLIED, INCLUDING, WITHOUT LIMITATION, THE WARRANTIES OF MERCHANTABILITY, FITNESS FOR A PARTICULAR PURPOSE, NON-INFRINGEMENT, TITLE, CUSTOM, TRADE, QUIET ENJOYMENT, SYSTEM INTEGRATION AND FREEDOM FROM COMPUTER VIRUS. GLOBALISMEDIA.COM CANNOT GUARANTEE AND DOES NOT PROMISE ANY SPECIFIC RESULTS FROM USE OF THE GLOBALISMEDIA.COM SERVICES OR LINKED SERVICES. SOME JURISDICTIONS LIMIT OR DO NOT ALLOW THE DISCLAIMER OF IMPLIED OR OTHER WARRANTIES SO THE ABOVE DISCLAIMER MAY NOT APPLY YOU TO THE EXTENT REQUIRED BY APPLICABLE LAW.  Limitation on Liability – IN NO EVENT SHALL GLOBALISMEDIA.COM BE LIABLE TO YOU OR ANY THIRD PARTY FOR ANY INDIRECT, CONSEQUENTIAL, EXEMPLARY, INCIDENTAL, SPECIAL OR PUNITIVE DAMAGES, INCLUDING, WITHOUT LIMITATION, LOST PROFIT DAMAGES ARISING FROM: (A) YOUR USE OR INABILITY TO USE THE GLOBALISMEDIA.COM SERVICES (INCLUDING THE CONTENT AND GLOBALISMEDIA.COM CONTENT) OR LINKED SERVICES, OR THE PERFORMANCE OF THE GLOBALISMEDIA.COM SERVICES OR LINKED SERVICES, (B) ANY ACTION TAKEN IN CONNECTION WITH AN INVESTIGATION BY GLOBALISMEDIA.COM OR LAW ENFORCEMENT AUTHORITIES REGARDING YOUR ACCESS TO OR USE OF THE GLOBALISMEDIA.COM SERVICES, (C) ANY ACTION TAKEN IN CONNECTION WITH COPYRIGHT OR OTHER INTELLECTUAL PROPERTY OWNERS OR OTHER RIGHTS OWNERS, (D) ANY ERRORS OR OMISSIONS IN THE GLOBALISMEDIA.COM SERVICES’ TECHNICAL OPERATION, OR (E) ANY DAMAGE TO A USER’S COMPUTER, HARDWARE, SOFTWARE, MODEM, OR OTHER EQUIPMENT OR TECHNOLOGY, INCLUDING DAMAGE FROM ANY SECURITY BREACH OR FROM ANY VIRUS, BUGS, TAMPERING, FRAUD, ERROR, OMISSION, INTERRUPTION, DEFECT, DELAY IN OPERATION OR TRANSMISSION, COMPUTER LINE, OR NETWORK FAILURE OR ANY OTHER TECHNICAL OR OTHER MALFUNCTION, INCLUDING LOSSES OR DAMAGES IN THE FORM OF LOST PROFITS, LOSS OF GOODWILL, LOSS OF DATA, WORK STOPPAGE, ACCURACY OF RESULTS, OR EQUIPMENT FAILURE OR MALFUNCTION, EVEN IF GLOBALISMEDIA.COM HAS BEEN ADVISED OF THE POSSIBILITY OF SUCH DAMAGES. NOTWITHSTANDING ANYTHING TO THE CONTRARY CONTAINED HEREIN, GLOBALISMEDIA.COM ’S LIABILITY TO YOU FOR ANY CAUSE WHATSOEVER AND REGARDLESS OF THE FORM OF THE ACTION, WILL AT ALL TIMES BE LIMITED TO THE AMOUNT PAID, IF ANY, BY YOU TO GLOBALISMEDIA.COM FOR THE GLOBALISMEDIA.COM SERVICES DURING THE TERM OF MEMBERSHIP. THE FOREGOING LIMITATIONS OF LIABILITY WILL APPLY EVEN IF ANY OF THE FOREGOING EVENTS OR CIRCUMSTANCES WERE FORESEEABLE AND EVEN IF GLOBALISMEDIA.COM WAS ADVISED OF OR SHOULD HAVE KNOWN OF THE POSSIBILITY OF SUCH LOSSES OR DAMAGES, REGARDLESS OF WHETHER YOU BRING AN ACTION BASED IN CONTRACT, NEGLIGENCE, STRICT LIABILITY, OR TORT (INCLUDING WHETHER CAUSED, IN WHOLE OR IN PART, BY NEGLIGENCE, ACTS OF GOD, TELECOMMUNICATIONS FAILURE, OR DESTRUCTION OF THE GLOBALISMEDIA.COM SERVICES). SOME JURISDICTIONS DO NOT ALLOW THE EXCLUSION OR LIMITATION OF INCIDENTAL OR CONSEQUENTIAL DAMAGES OF THE SORT THAT ARE DESCRIBED ABOVE, SO THE ABOVE LIMITATION OR EXCLUSION MAY NOT APPLY TO YOU TO THE EXTENT REQUIRED BY APPLICABLE LAW.  Arbitration and No Class Relief – Certain portions of this Section 17 are deemed to be a “written agreement to arbitrate” and apply to all Users of the GlobalisMedia.com Services where the mandatory laws in their country of residence permit such arbitration. Where arbitration is not permitted by the mandatory laws in your country of residence, the provisions of Section 17 shall apply to all relevant disputes between you and GlobalisMedia.com . This Section 17 can only be changed or terminated upon mutual agreement. Disputes. Any controversy, allegation, or claim between you and GlobalisMedia.com arising out of or relating to the GlobalisMedia.com Services, the GlobalisMedia.com Content, the Content, this Agreement, or any Additional Terms, whether heretofore or hereafter arising are “Disputes”. First – Try to Resolve. If you or GlobalisMedia.com becomes aware of a Dispute, then you and we agree to send a written notice to the other providing a reasonable description of the Dispute, along with a proposed resolution of it. Our notice to you will be sent to you based on the most recent contact information that you provide us. But if no such information exists or if such information is not current, then we have no obligation under this Section 17.1.1. Your notice to us must be sent to: Globalis Media Inc., Att: Admin Dept., Keppel Center #1002B, Cebu Business Park, Cebu City 6000 Philippines. For a period of sixty (60) days from the date of receipt of notice from the other party, GlobalisMedia.com and you will engage in a dialogue in order to attempt to resolve the Dispute, though nothing will require either you or GlobalisMedia.com to resolve the Dispute on terms with respect to which you and GlobalisMedia.com , in each of our sole discretion, are not comfortable. Arbitration of Most Disputes. If we cannot resolve a Dispute as set forth in Section 17.1.1 within sixty (60) days of receipt of the notice, then either you or we may submit the Dispute to formal arbitration in accordance with this Section 17.1, unless it is an Excluded Dispute, which shall be handled in accordance with Section 17.2. Arbitrator. Upon expiration of the applicable sixty (60)-day period and to the fullest extent permitted by applicable law, a Dispute will be resolved solely by binding arbitration in accordance with then-current arbitration rules & procedures. Nature, Limitations, and Location of Alternative Dispute Resolution. In arbitration, as with a court, the arbitrator must honor the terms of this Agreement (and any Additional Terms) and can award the prevailing party damages and other relief (including attorneys’ fees). However, WITH ARBITRATION: (A) THERE IS NO JUDGE OR JURY, (B) THE ARBITRATION PROCEEDINGS AND ARBITRATION OUTCOME ARE SUBJECT TO CERTAIN CONFIDENTIALITY RULES, AND (C) JUDICIAL REVIEW OF THE ARBITRATION OUTCOME IS LIMITED. All parties to the arbitration will have the right, at their own expense, to be represented by an attorney or other advocate of their choosing. If an in-person arbitration hearing is required, then it will be conducted in the “metropolitan statistical area” (as defined by the U.S. Census Bureau) where you are a resident at the time the Dispute is submitted to arbitration. You and we will pay the administrative and arbitrator’s fees and other costs in accordance with the applicable arbitration rules; but, if applicable arbitration rules or laws require GlobalisMedia.com to pay a greater portion or all of such fees and costs in order for this Section 17 to be enforceable, then GlobalisMedia.com will have the right to elect to pay the fees and costs and proceed to arbitration. Discovery will be permitted pursuant to the applicable arbitration rules. The arbitrator’s decision must consist of a written statement stating the disposition of each claim of the Dispute, and must provide a statement of the essential findings and conclusions on which the decision and any award (if any) is based. Judgment on the arbitration decision and award (if any) may be entered in or by any court that has jurisdiction over the parties. No Class Action Matters. Disputes will be arbitrated only on an individual basis and will not be consolidated with any other arbitrations or other proceedings that involve any claim or controversy of any other party. But if, for any reason, any court with competent jurisdiction or any arbitrator selected pursuant to Section 17.1.3 holds that this restriction is unconscionable or unenforceable, then our agreement in Section 17.1.2 to arbitrate will not apply, and the Dispute must be brought exclusively in court pursuant to Section 17.3. Limited Time to File Claims. TO THE FULLEST EXTENT PERMITTED BY APPLICABLE LAW, IF YOU OR WE WANT TO ASSERT A DISPUTE (BUT NOT A EXCLUDED DISPUTE) AGAINST THE OTHER, THEN YOU OR WE MUST COMMENCE IT (BY DELIVERY OF WRITTEN NOTICE AS SET FORTH IN SECTION 17.1.1 WITHIN ONE (1) YEAR AFTER DISCOVERY OF THE DISPUTE ARISES — OR IT WILL BE FOREVER BARRED. Excluded Disputes. The following disputes constitute “Excluded Disputes” hereunder: (i) any Dispute regarding any of GlobalisMedia.com ’s actual or alleged intellectual property rights, (ii) Disputes, to the extent that the laws of the State of California authorize may be brought in small claims court, and (iii) legal action taken by GlobalisMedia.com to seek an injunction or other equitable relief in connection with, any loss, cost, or damage (or any potential loss, cost, or damage) relating to the GlobalisMedia.com Services, any Content, your User Content and/or GlobalisMedia.com ’s intellectual property rights (including such GlobalisMedia.com may claim that may be in dispute), GlobalisMedia.com ’s operations, and/or GlobalisMedia.com ’s products or services (collectively, “Injunctive Relief”). First – Try to Resolve. If (x) any Excluded Dispute arises, and (y) excluding Excluded Disputes involving Injunctive Relief, you and we agree to send a written notice to the other providing a reasonable description of the Excluded Dispute, along with a proposed resolution of it. Our notice to you will be sent to you based on the most recent contact information that you provide us. But if no such information exists or if such information is not current, then we have no obligation under this Section 17.2.1. Your notice to us must be sent to: GlobalisMedia.com LLC, 8391 Beverly Blvd., #349, Los Angeles, CA 90048, Attn: Business & Legal Affairs. For a period of sixty (60) days from the date of receipt of notice from the other party, GlobalisMedia.com and you will engage in a dialogue in order to attempt to resolve the Excluded Dispute, though nothing will require either you or GlobalisMedia.com to resolve the Excluded Dispute on terms with respect to which you and GlobalisMedia.com , in each of our sole discretion, are not comfortable. If we cannot resolve authorized Excluded Dispute as set forth in Section 17.2.1 within sixty (60) days of receipt of the notice, then either you or we may submit the Excluded Dispute to formal arbitration pursuant to Section 17.1 only if you and GlobalisMedia.com consent, in a writing signed by you and an officer or business and legal affairs representative of GlobalisMedia.com , to have that Excluded Dispute subject to arbitration. In such a case (and only in such a case), that Excluded Dispute will be deemed a “Dispute” and shall be governed by Section 17.1. In the absence of such agreement, Section 17.1 shall not apply to Excluded Disputes, and Sections 17.3 and 17.4 shall apply. Injunctive Relief. With respect to Excluded Disputes involving Injunctive Relief, Section 17.3 and 17.4 apply, and GlobalisMedia.com may institute such Excluded Disputes as authorized therein immediately. Jurisdiction. Except to the extent that arbitration is required in Section 17.1 or authorized in Section 17.2, and except as to the enforcement of any arbitration decision or award, any action or proceeding relating to any Dispute or Excluded Dispute may only be instituted in Cebu City, Philippines. Accordingly, you and GlobalisMedia.com consent to the exclusive personal jurisdiction and venue of such courts for such matters. Governing Law. This Agreement and any Additional Terms will be governed by and construed in accordance with, and any Dispute and Excluded Dispute will be resolved in accordance with, the laws of the Republic of the Philippines, without regard to its conflicts of law provisions.  Other Dispute Resolution where Arbitration is Not Applicable – This Section 18 applies to all Users of the GlobalisMedia.com Services, if, and only to the extent that, the mandatory laws in your country of residence do not permit arbitration of Disputes in accordance with Section 17. Section 18 Disputes. If any controversy, allegation, or claim (including any non-contractual claim) arises out of or relates to the GlobalisMedia.com Services, the GlobalisMedia.com Content, the Content, this Agreement, or any Additional Terms, whether heretofore or hereafter arising or to any of GlobalisMedia.com ’s actual or alleged intellectual property rights (collectively, a “Section 18 Dispute”), then you and we agree to send a written notice to the other providing a reasonable description of the Section 18 Dispute, along with a proposed resolution of it. Our notice to you will be sent to you based on the most recent contact information that you provide us. But if no such information exists or if such information is not current, then we have no obligation under this Section 18.1. Your notice to us must be sent to: Globalis Media Inc., Att: Admin Dept., Keppel Center #1002B, Cebu Business Park, Cebu City 6000 Philippines. For a period of sixty (60) days from the date of receipt of notice from the other party, GlobalisMedia.com and you will engage in a dialogue in order to attempt to resolve the Section 18 Dispute, though nothing will require either you or GlobalisMedia.com to resolve the Section 18 Dispute on terms with respect to which you and GlobalisMedia.com , in each of our sole discretion, are not comfortable. Jurisdiction. The parties agree that the courts in Cebu City, Philippines shall have non-exclusive jurisdiction of any Section 18 Dispute. Governing Law. To the maximum extent permitted by the mandatory laws in your country of residence, this Agreement, any Additional Terms and any Section 18 Dispute arising out of or in connection with it or its subject matter or formation (including non-contractual disputes), will be governed by, and construed in accordance with, the laws of the Republic of the Philippines, without regard to its conflicts of law provisions. Limited Time to File Claims. TO THE FULLEST EXTENT PERMITTED BY APPLICABLE LAW, IF YOU OR WE WANT TO ASSERT A SECTION 18 DISPUTE AGAINST THE OTHER, THEN YOU OR WE MUST COMMENCE IT (BY DELIVERY OF WRITTEN NOTICE AS SET FORTH IN SECTION 18.1) WITHIN ONE (1) YEAR AFTER DISCOVERY OF THE SECTION 18 DISPUTE ARISES — OR IT WILL BE FOREVER BARRED. Injunctive Relief. The foregoing provisions of this Section 18 will not apply to any legal action taken by GlobalisMedia.com to seek an injunction or other equitable relief in connection with, any loss, cost, or damage (or any potential loss, cost, or damage) relating to the GlobalisMedia.com Services, any Content, your User Content and/or GlobalisMedia.com ’s intellectual property rights (including such GlobalisMedia.com may claim that may be in dispute), GlobalisMedia.com ’s operations, and/or GlobalisMedia.com ’s products or services. Indemnification. To the maximum extent permitted by applicable law, you agree to indemnify, defend (at GlobalisMedia.com ’s election) and hold GlobalisMedia.com , Globalis Media Inc., its subsidiaries, and affiliates, subcontractors and other partners, and their respective officers, agents, partners and employees, harmless from any loss, liability, claim, or demand, including, but not limited to, reasonable attorneys’ fees and costs, alleged by any third party due to or arising out of or in connection with: (a) your use of the GlobalisMedia.com Services or Linked Services, and your activities in connection with the GlobalisMedia.com Services or Linked Services; (b) your violation or anticipatory violation of any Applicable Law in connection with your use of the GlobalisMedia.com Services or Linked Services, or your activities in connection with the GlobalisMedia.com Services or Linked Services; (c) a breach or anticipatory breach of this Agreement or any Additional Terms; (d) any breach of your agreements, representations and warranties set forth in this Agreement; (e) any Content that you post on, through or in connection with the GlobalisMedia.com Services or Linked Services; (f) information or material transmitted through your Device used to access the GlobalisMedia.com Services, even if not submitted by you, that infringes, violates, or misappropriates any copyright, trademark, trade secret, trade dress, patent, publicity, privacy, or other right of any person or entity; (g) any misrepresentation made by you; and (h) GlobalisMedia.com ’s permitted use of the information that you submit to us (including your Content) (all of the foregoing, “Claims and Losses”). You will cooperate fully as required by GlobalisMedia.com in the defense of any Claim and Losses. Notwithstanding the foregoing, GlobalisMedia.com retains the exclusive right to settle, compromise, and pay any and all Claims and Losses. GlobalisMedia.com reserves the right to assume the exclusive defense and control of any Claims and Losses. You will not settle any Claims and Losses without, in each instance, the prior written consent of an officer of GlobalisMedia.com. TO THE MAXIMUM EXTENT PERMITTED BY APPLICABLE LAW, IF YOU CLAIM THAT YOU HAVE INCURRED ANY LOSS, DAMAGES, OR INJURIES IN CONNECTION WITH YOUR USE OF THE GLOBALISMEDIA.COM SERVICES, THEN THE LOSSES, DAMAGES, AND INJURIES WILL NOT BE IRREPARABLE OR SUFFICIENT TO ENTITLE YOU TO AN INJUNCTION OR TO OTHER EQUITABLE RELIEF OF ANY KIND. THIS MEANS (WITHOUT LIMITATION) THAT, IN CONNECTION WITH YOUR CLAIM, YOU AGREE THAT YOU WILL NOT SEEK, AND THAT YOU WILL NOT BE PERMITTED TO OBTAIN, ANY COURT OR OTHER ACTION THAT MAY INTERFERE WITH OR PREVENT THE DEVELOPMENT OR EXPLOITATION OF ANY WEBSITE, CONTENT, USER CONTENT, PRODUCT, SERVICE, OR OTHER INTELLECTUAL PROPERTY OWNED, LICENSED, USED OR CONTROLLED BY GLOBALISMEDIA.COM (INCLUDING YOUR LICENSED CONTENT) OR A LICENSOR OF GLOBALISMEDIA.COM . However, you acknowledge that any breach or anticipatory breach by you of this Agreement may result in harm to GlobalisMedia.com not capable of a remedy of money damages alone and accordingly in addition to any action at law for damages, GlobalisMedia.com will be entitled to seek injunctive and other equitable relief. GlobalisMedia.com is currently hosted in the US, and managed from an affiliate of Globalis Media Inc. based in the Philippines. GlobalisMedia.com makes no representation that the GlobalisMedia.com Services is appropriate or available for use in any particular country or location. You are using the GlobalisMedia.com Services on your own initiative and are responsible for compliance with applicable local laws regarding your online conduct and acceptable content, if and to the extent local laws apply. The GlobalisMedia.com Services may describe products and services that are available only in select countries or markets, and that are not available worldwide. We reserve the right to limit the availability of the GlobalisMedia.com Services and/or the provision of any content, program, product, service, or other feature described or available on the GlobalisMedia.com Services to any person, entity, geographic area, or jurisdiction, at any time and in our sole discretion, and to limit the quantities of any content, program, product, service, or other feature that we provide. BY ACCESSING OR USING THE GLOBALISMEDIA.COM SERVICES, YOU REPRESENT AND WARRANT THAT YOUR ACTIVITIES ARE LAWFUL IN EVERY JURISDICTION WHERE YOU ACCESS OR USE THE GLOBALISMEDIA.COM SERVICES. GlobalisMedia.com may offer the GlobalisMedia.com Services via software applications designed to run on specific operating systems, including, without limitation, mobile operating systems (including any updates and upgrades thereto, the “Software”). The Software is GlobalisMedia.com Content. Subject to the terms of this Agreement, GlobalisMedia.com grants you a limited, non-exclusive, non-sub-licenseable license to use the Software solely to access the GlobalisMedia.com Services. You are not authorized to use the Software in any other manner. You may install and personally use the Software only in object code form on a Device controlled by you for your own non-commercial use or benefit. GlobalisMedia.com may at any time and in its sole discretion revoke your license to use the Software or suspend or terminate your access to the Software without notice or explanation. If your license to use the Software terminates, you must (a) remove the Software from all hard drives, networks, Devices and other storage media, and (b) destroy all copies of the Software in your possession or under your control. All rights in any third-party data, software, or intellectual property are reserved and remain with the respective third party owners or licensors. These third parties may enforce their rights against you directly. This Agreement is accepted upon your use of the GlobalisMedia.com Website or any of the GlobalisMedia.com Services, and is further affirmed by you becoming a Member and any continued access or use of the GlobalisMedia.com Website or any of the GlobalisMedia.com Services. Your agreement with GlobalisMedia.com will always include this Agreement at a minimum, except to the extent modified by an Other Agreement to which we have mutually agreed. Your access and use of certain GlobalisMedia.com Services will require you to accept Additional Terms applicable to such certain GlobalisMedia.com Services, in addition to this Agreement, and may require you to download Software or provide Content. The failure of GlobalisMedia.com to exercise or enforce any right or provision of this Agreement shall not operate as a waiver of such right or provision. The section titles in this Agreement are for convenience only and have no legal or contractual effect. GlobalisMedia.com is a registered trademark of Globalis Media Inc. GlobalisMedia.com may assign its rights and obligations under this Agreement and any Additional Terms, in whole or in part, to any party at any time without any notice. This Agreement and any Additional Terms may not be assigned by you, and you may not delegate your duties under them, without the prior written consent of an officer of GlobalisMedia.com . This Agreement operates to the fullest extent permissible by law. This Agreement represents an agreement between you as a User (or if applicable, Member) of the GlobalisMedia.com Services and us as the service provider, and no other person can enforce any of its provisions against GlobalisMedia.com . This Agreement (and the documents referred to herein, including, without limitation, Additional Terms) constitute the entire agreement between you and us in relation to the use of the GlobalisMedia.com Services, and replace and extinguish all prior agreements, arrangements or undertakings of any nature made by the parties, whether oral or written, in relation to such subject matter. To contact us regarding any questions about this Agreement, please use the online contact form on the Contact page.